"Drew went above and beyond..."-Patty W.
"Drew made the process as easy as possible for us!" -Heather & Tim L.
"I'm so thankful to have chosen Drew as our Realtor... he's very professional, thoughtful, and compassionate... Definetly 5 stars! "-Marla & James R.
Welcome to the official website of Drew DiGeronimo. It is my pleasure to assist you in making your wishes come true by easing you through the process of selling your current, and finding your new home . Helping people like you throughout my life has been my duty, in Healthcare, Education,and as your neighborhood Realtor. Please register above, explore my website , and reach out to me. 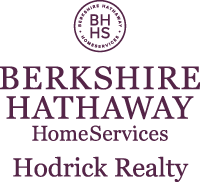 Let me know what you desire, and I will be with and guide you through the processes of selling your current and/or purchasing your new home! Also, contact me if you or anyone you know has real estate needs ANYWHERE IN THE United States, I can lead you/them to a reputable agent in ANY area to fulfill your needs.